Nearly all the cells in our bodies have Vitamin D receptors. When we are deficient in Vitamin D our bodies can not function properly. According to Chris Kresser, Vitamin D acts as a potent hormone in the body, regulating the expression of genes and activating enzymes and proteins. While my first recommendation for everyone is to spend more time in the sun, vitamin D supplementation is also an option. If you avoid the sun for a fear of getting skin cancer, I encourage you to listen to this podcast of Dr. Michael Ruscio interviewing Vitamin D researcher Dr. Michael Holick. In it, they discuss research that shows sun exposure alone actually reduced the risk of melanoma, all cause mortality, breast cancer, blood pressure, multiple sclerosis, obesity, and type 2 diabetes. 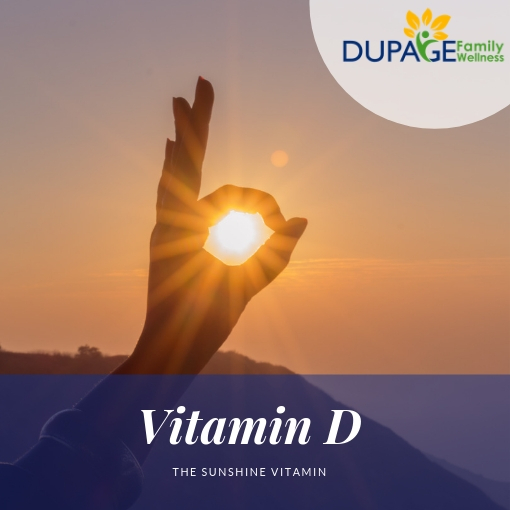 If you are unable to sufficiently raise your levels of Vitamin D with sun exposure alone, you can supplement with Vitamin D. It is important to find a good brand that you can trust. My favorite brand is Innate Choice. Their product uses the same form of Vitamin D that our bodies make through exposure to the sun and is carried in an organic olive oil. If you are interested in ordering this product, or would like to get your Vitamin D levels checked, I'd be happy to help!